One of the more frustrating parts of dealing with sellers can be getting them to understand how important it is to clean up before photos. And there is always a question about when a home is clean enough! Or what does it mean to make a home “look nice”? This whole conversation with sellers can be difficult to communicate because of how inherently subjective and mirky it all is. What your client thinks is a photo-ready house may not be what you think is photo-ready. There are many differing philosophies and schools of thought on staging and cleaning. Marie Kondo of Netflix’s popular show “Tidying Up” has inspired many in real estate to take more care in their cleanup. I know about these problems because I often walk into listings where the homeowners are confused about whether their home is ready for photos or not. Good news! I have solved these issues for you! 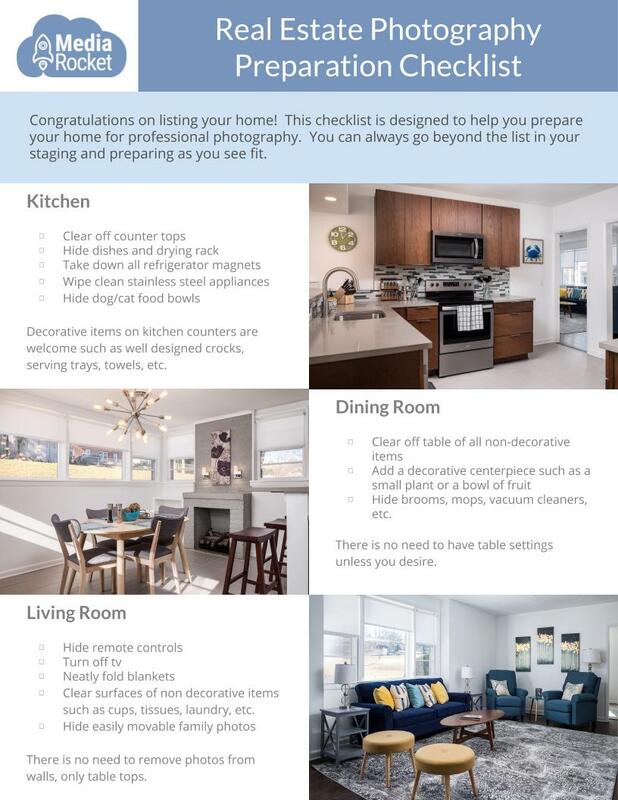 I have put together a Real Estate Photography Preparation Checklist that you can download for FREE, print, and give to your sellers! 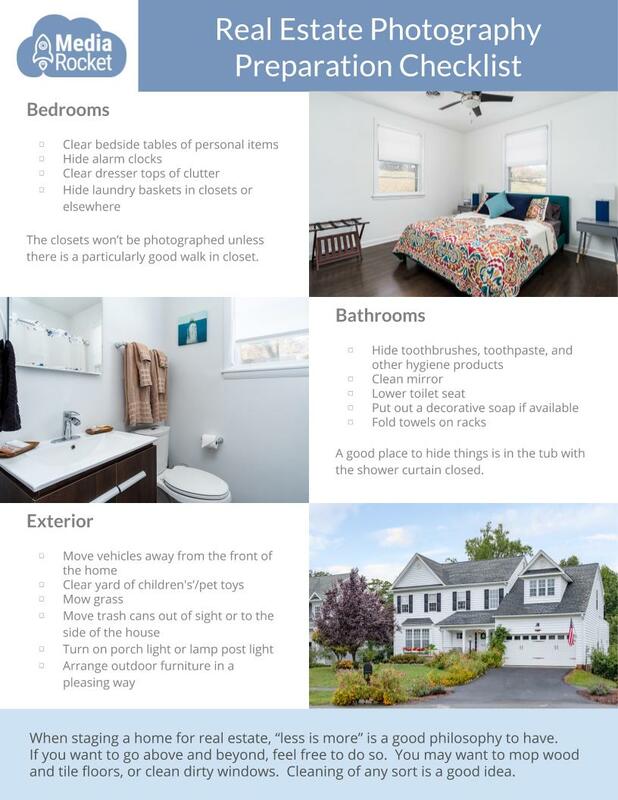 The real estate photography checklist gives specific instructions on how to prepare a home, room by room, for photos. This well-designed checklist gives example images, tips and tricks, and bonus chores for go-getters. This checklist is also well designed and presentable. Handing these papers to your client or sending them the pdf will add credibility and professionalism to your business. What is on the checklist? The Real Estate Photography Preparation Checklist goes through a home room by room and gives detailed instruction on how to tidy up. Each room has three or four simple instructions to make a room look tidy. There are even tips on how to tidy, like telling the homeowner where is the best place to hide things in the bathroom. For each section of the real estate photography checklist, I have also included an example picture of a lived-in home that is tidy and ready for photos. No more will clients be confused about how to prepare their home for photos!